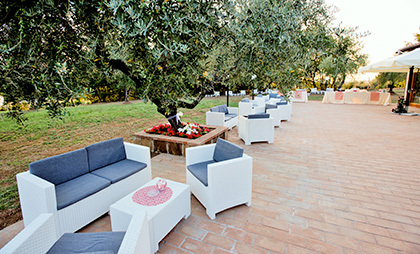 Casale Nociquerceto is the ideal setting to celebrate your important moments: weddings, receptions, banquets, conferences, congresses, business meetings will boast very special hospitality, service to make your day. Breakfast room and the wide open green spaces are available to anyone who wants to turn your time into something special. 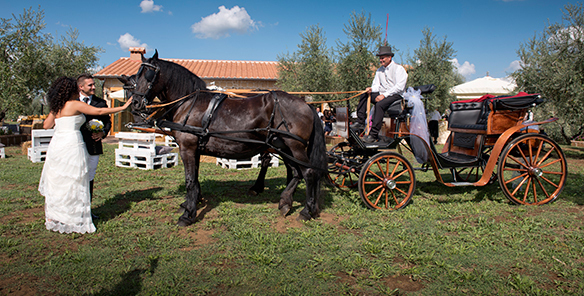 Culture, culinary and convivial art will be the stars, accompanied by original productions, always in tune with your tastes, that will make it all a magical moment, surrounded by greenery and tranquility typical of Sabine countryside. 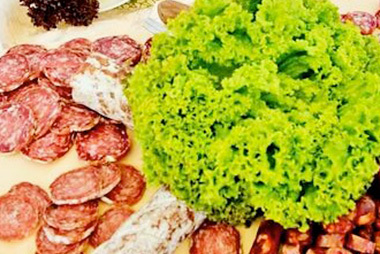 Catering service is free; alternatively, to be able to ensure the quality of food and professionalism of personnel, “Casale Nociquerceto” offers our “Oasi Catering” able to guarantee a perfect ceremony. Che dire, Borgo Noci Querceto è semplicemente fantastico! Matteo il proprietario e il suo staff sono stati eccellenti hanno soddisfatto tutte le nostre richieste alla perfezione! Non potevamo scegliere di meglio per il nostro matrimonio. Cari sposini ve lo consiglio al 100%. Abbiamo deciso di trascorrere il giorno più importante della nostra vita in questa location e ci siamo trovati benissimo. Posto bellissimo e raffinato,piatti buonissimi (consigliamo i piatti di mare). Grande professionalità del personale. Il giorno più bello della mia vita nel posto più bello dove potevo immaginarlo! 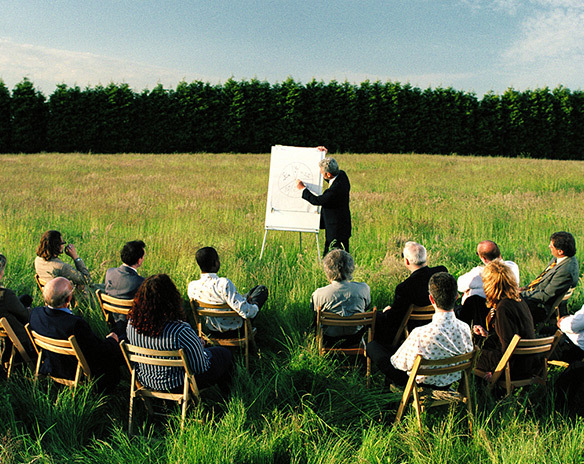 Ringrazio lo staff al completo per la loro professionalità e il proprietario per la pazienza che ha. Grazie grazie grazie. Tutto fantastico. 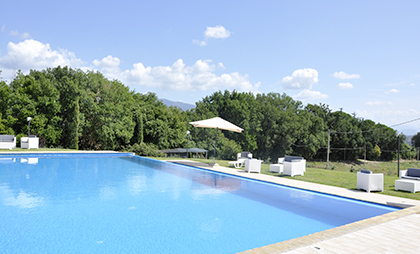 Meglio delle aspettative previste, splendida la location e la piscina, il servizio impeccabile; alcuni ospiti hanno soggiornato negli appartamenti e sono rimasti soddisfattissimi. Lo consigliamo al 100%, grazie. Un giorno indimenticabile sotto tutti i punti di vista. La nostra scelta è stata dettata dalla possibilità di affittare tutti gli appartamenti per noi e per i nostri amici e parenti, per lo più provenienti dall’estero. Abbiamo avuto tutta la struttura a nostra disposizione fino al giorno dopo. Il mio consiglio: non vale la pena girare troppo per trovare una location migliore! A Borgo Nociquerceto, tutti i vostri ospiti saranno trattati nel migliore dei modi e il ricevimento sarà un successo! 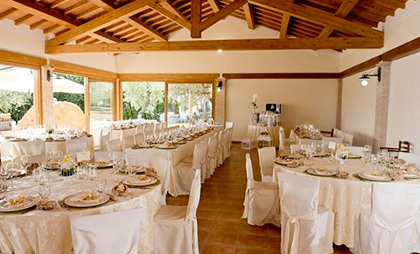 Villa Claudia: the reception room rises in a dominant and independent position, rustic style associated with elegance and class. 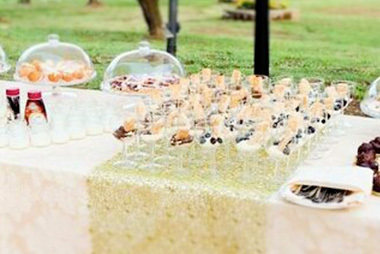 Meeting facilities, gardens, for the use of catering kitchen, parking, bridal suite. Reception, ceremony on site, photography, music, transportation, equipment, free car service. 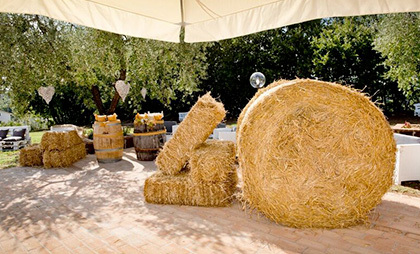 Whether inside or outside , the country style of the romantic village will transform your wedding in the most important day of your life. 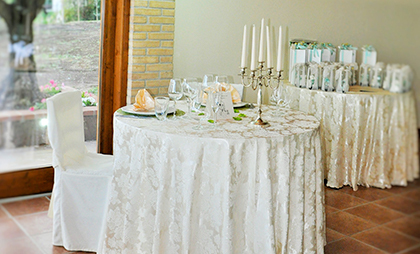 The spacious Villa Claudia , in the main building , offers a large and elegant dining room suitable for banquets with a high number of guests , up to 180 guests , but also for more intimate and restricted ceremonies. Its outdoor spaces offer a day outdoors taking advantage of the vast landscaped garden , the romantic arcades and the poolside area . 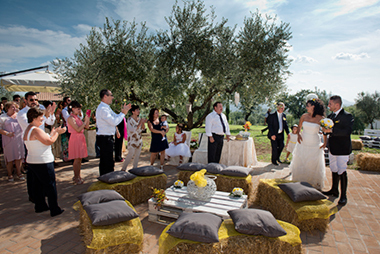 Your reception , during the hot months , will be completely organized outdoors , to enjoy the fresh air of the hilly village Noci Querceto. “Dreams are desires ” and all your wishes will be a mission for us. 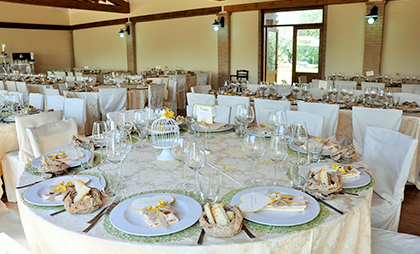 A qualified staff is ready to satisfy all needs will take care of every guest for an unforgettable experience .By fittings to the choice of your menu , and music at transport , from photographs to the car from ceremony , you can count on maximum availability and experience of the qualified Borgo Noci Querceto’s staff . 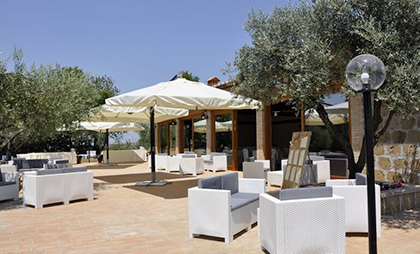 Receptions at Borgo Noci Querceto , in collaboration with L’Oasi del Colle Catering-Banqueting offer an extraordinary kindness and a wide selection of culinary specialities. Menu is an extensive selection of local products , they ‘re made according to the rules of culinary art that emphasizes the taste of the variety of flavors . Both tradition and innovation gastronomic pleasure are so space in a kitchen that is so pleasant to be enjoyed as beautiful to look at, in the colorful and artistic compositions of the dishes. Because it is especially in the pleasures of the table that we can exalt the great beauty of a reception in an unforgettable day. 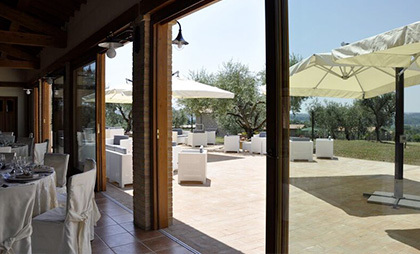 Nociquerceto village, nestled in the hills of Sabina, just 40 minutes from Rome, Viterbo and Terni, offers an equipped and charming meeting room. 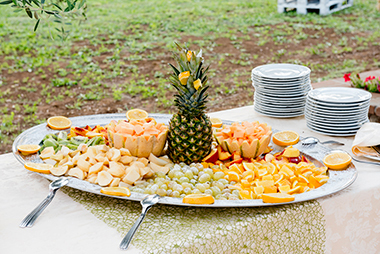 Surrounded by nature with views of the hills with unspoiled landscape, it is a space of 180 square meters to cater for each kind of event, on the basis of specific needs, in fact, you can expect equipment suitable to accommodate 20 to 180 people. 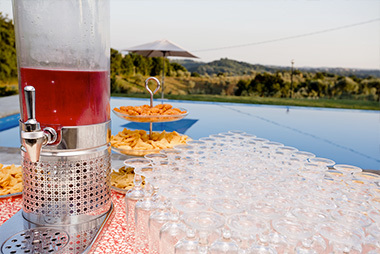 You can also organize a variety of activities including hiking, mountain biking and hiking to explore the area, horseback riding and wine tasting of Sabina, including extra virgin olive oil we produce, enjoying the view from the terrace.